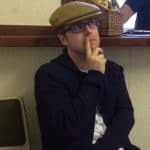 When visiting a distillery, it’s a must to take at least one tour, but being encamped at Bunnahabhain for a day during their Feis Ile celebrations I had the opportunity to experience another type of tour. Rewind to the Bunnahabhain Feis Ile Day Tripper event and a glorious summer’s day on Islay. After the engaging and thoroughly informative distillery tour, we were now in the hands of Iain Shaw for the warehouse event. Things opened with the revelation that given the age of the warehouses on site, which date from the 1890’s, our original host wasn’t deemed safe for our cask exploration. Needless to say all the warehouses I visited on site seemed to be traditional dunnage, filled to the brim with casks. 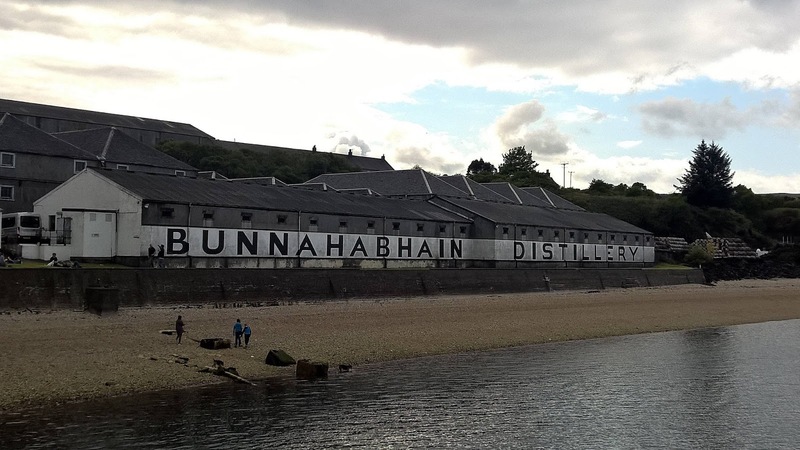 Bunnahabhain is so busy nowadays they’ve had to utilise storage space at Port Ellen. That’d make for an interesting special edition surely? Our host kicked off the tour with a couple of anecdotes, providing insight into the daily routine of a warehouseman and his own background. We were then taken around the warehouse with plenty of information being provided regarding cask types and the inventory on each floor. A chance to nose some particularly impressive casks before discussing their history was welcome. The atmosphere was thick with maturation and appreciation. I always feel at home within a warehouse, it’s my favourite part of any tour especially when it’s a traditional setting such as Bunnahabhain. As you can see from some of the photographs that accompany this article, it seems time has stood still here and I’m thankful for it. Our group had mixed emotions leaving the warehouse but with the promise of a bountiful tasting just a stone’s throw away, any disappointment was soon lost. Our tasting offered the voyage of three different full maturation casks still in the Bunnahabhain warehouse. The red wine cask was available as the bottle-your-own option via the distillery shop or a convenient 20cl option already pre-bottled. Given the considerable quantity of whisky on offer during our Day Tripper event, I passed the opportunity to engage with each dram at the tasting table. Instead, I preferred to take these on the ferry home for a more in-depth appreciation devoid of any prior consumption. Nose: very buttery is my initial thought. Dried cranberries and oranges. Tobacco leaves, honey and its beneath this the cask has delivered raspberries, figs, golden syrup and strawberry jam. Taste: the red wine cask is more evident on the palate. More of the cranberries and oranges once again. It’s drinkable at cask strength. Honey roasted nuts, digestive biscuits and more of that strawberry jam once again. Overall: good fun and very enjoyable this offering. Not the rich raging wine cask you may have anticipated. There’s balance and a little depth on offer. Would be interesting to return to this in a few more years to see what’s next. Nose: we’re taken to a camp fire initially, filled with smoke and cigars. A pack of cola cubes is passed around with some cinnamon sweets and red liquorice. A cup of Bovril makes the rounds, a hot chocolate is also present. Raisins and maple syrup also make an appearance. Taste: damp wood initially then a rich treacle, bitter dark chocolate with more spice with cinnamon and all-spice. A beefy quality and plenty of roasted coffee. Overall: this is likely destined for a Moine release or that was the suggestion. I’d quite happy take it as it is just now. Big and bold without the range of some whiskies during the festival its an enjoyable ride for what it offers. Nose: porridge oats with golden syrup springs to mind, with a salty honey aspect. There’s vanilla and bacon fat, dark chocolate most certainly and coffee beans. A rugged aspect almost stone chippings along with liquorice, fudge and Black Jacks – an aniseed chewy sweetie for those unfamiliar with this British confectionary. With water, toffee comes through. Taste: its full on from the cask. Blackcurrants, seaweed and a vegetative moss influence. A bitter dark chocolate bar. The cask gives us cloves and sultanas but its far from the sherry monster it may have been. Water brings out a rubbery aspect and a peppery cinnamon finish. Overall: a meal in itself and certainly not for everyone. It shows how a sweet sherry cask can cope with a peaty new make spirit. So there have it. The tour ends with a trio of enjoyable drams with my own favourite being the Oloroso 9 year old. We step outside for a few moments before it becomes clear it’s time to leave Bunnahabhain and the Feis Ile for another year. A coach awaits, then the ferry and then another bus back to Glasgow before a departure dram in the city centre. A morning of movement had shipped us from our initial meeting point in Glasgow, to be whisked off the mainland to a distant shore beside.. The Bunnahabhain Feis Ile Day Tripper 2016 event afforded many marvellous opportunities as you can read from my recent article. There were in reality too..